We’re delighted to welcome BTS Hospitality Management to Jobs Expo 2015. BTS Hospitality Management is a dynamic and entrepreneurial provider of business services in the hospitality sector. We are a specialist provider of back office services offering best practise operations and procedures on behalf of owners and managers. 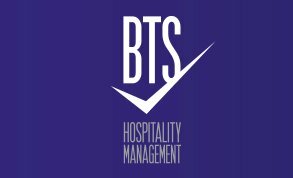 BTS Hospitality Management has been estabilshed to work across the hospitality sector with bars, clubs, restaurants and music venues. Our unique understanding of the sector allows us to help businesses achieve their goals through a wide range of specific services and full business management. BTS Hospitality Management offers a system which allows businesses to condense and manage all of their back office services in one centralised location. At BTS we undertsand the hospitality sector is fast moving as customer demands are constantly changing. Our culture is results driven and so we aim to maximise business performance in this ever evolving industry by gaining a deep understanding of our clients’ business objectives. We commit ourselves fully across all services and pride ourselves on our professional and competent approach to all activities. Operational Assessment: We conduct a full audit of your business practices and provide standard operational procedures which are catered to suit your specific needs. Financial Performance Analysis: We offer full assistance in improving profitability for your business, through labour and procurement costs. Management Team Oversight: We will attend weekly meetings with your management team and record minutes. We ensure weekly and monthly tasks are set with a completion deadline. Performance Benchmarking: We can benchmark your performance against similar outlets and provide you with a realistic target. Regular Review of Our Own Services: We are constantly looking for the best and cheapest ways to carry out our own services to you and your business to ensure you are getting the best possible practices available. Visit BTS Hospitality Management’s website to find out more.